If you play MMO computer games, then you probably know all too well about the keyloggers and the damage they can cause. You can get your account hacked, lose in play money and gear and go through a lot of unpleasant situations trying to sort things out with the guys from the customer service. Things can only get worse when the keylogger is used by phishing sites who are more interested in stealing your personal data, usernames and passwords. There are certain ways of protecting yourself from keyloggers, even if the malicious program is already installed on your computer. The first thing that you should do is to enable the firewall, because although they can’t prevent the keylogger to break in, they are very effective in cutting of the information flux they transmit. Depending on the security level you are needing, you can stick to the built in firewall from Windows, or install a better one, which is usually not free. An antivirus is a must have on any computer that is connected to the internet, even if you don’t fear the keyloggers. There are so many malware ready to attack your computer even when you perform seemingly innocent operations online that you simply can’t take any chances. If you are using torrents and download a lot of shady programs without license, at least make sure you have a powerful antivirus and add a special antispyware program as well, just to be perfectly safe. If you are pretty sure that you have a keylogger on your computer and can’t find it, then you should take some measures of precaution to mitigate the risks. Remember that the purpose of the keylogger is to steal your accounts and passwords, so when you type them use the On Screen Keyboard. Every Windows operating system has it and with virtually no effort you will prevent the keylogger from causing any harm. The same can be achieved by having a notepad with your passwords and accounts and simply paste them each time you log in. Phishing is closely related to the menace of keyloggers, but sometimes the wrongdoers have it easy, by convincing people to give away sensible information. This can range from personal data, banking username and passwords and virtually anything else that the offenders can use. They will usually target the places where most users interact and where the chances of deceiving a naïve user are higher. Facebook and other social networks are among the ones they prefer, for obvious reasons. This is a criminal activity that is prosecuted, but this has no deterring effect on the ones using it extensively. There are a few methods used for phishing, with link manipulation being the most popular and easy to detect at the same time. They will alter the URL by a single letter or by suggesting that a certain link will take you to the desired site, when in fact you will wind up on their homepage. 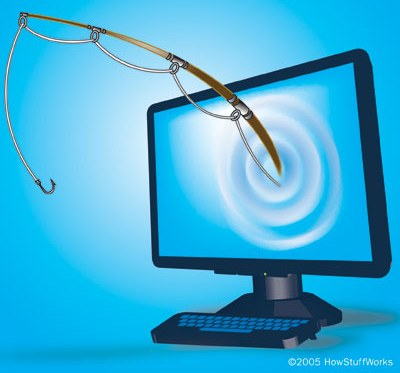 Some invest a lot of resources and energy in phishing sites to make them look just as real as the genuine ones, so more and more users will fall into their trap. About Author: This article is provided by John Masters who writes for mackeeper.zeobit.com, a site reviewing and offering mac recovery and data recovery for mac. I am gonna buy one to try, to see how it works..